This is a lesson I never tire of. Through the years it has never disappointed. The results are always stunning and the children learn a lot through the process. 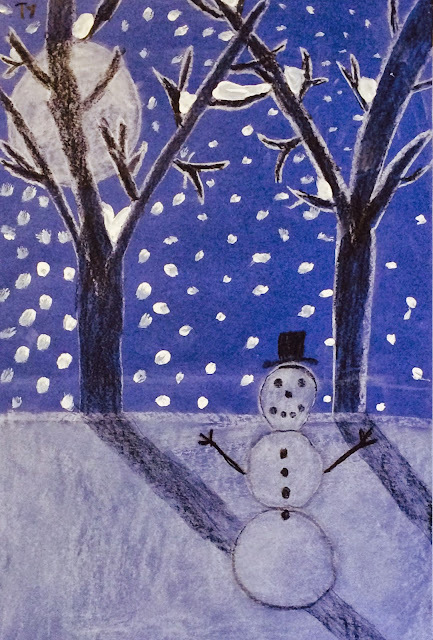 Snowmen and winter trees add beauty to an otherwise cold and trying time of year. This winter has been particularly cold making it almost impossible for man or beast to be outside. The students began with a 12" x 18" sheet of dark blue construction paper. Dark gray is also another nice background choice. Next using white chalk the students drew their horizon line after which a full moon was drawn in the sky. 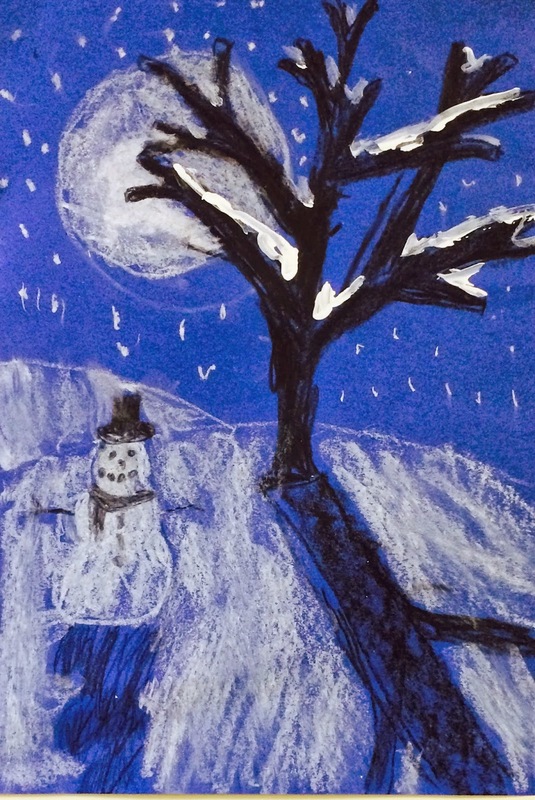 The tree was drawn with chalk first so that any mistakes could be erased. Once the students were happy with their design a black crayon was used to go over the chalk drawing. We spent some time discussing line and how to taper the branches. 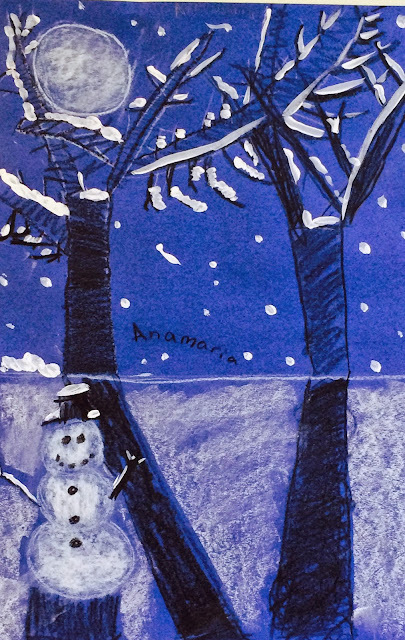 The students also overlapped branches and reached up and off the paper to create depth. 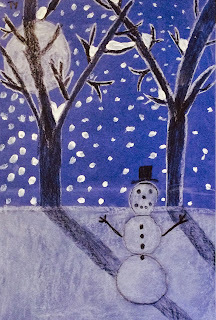 Snowmen were added at this point and some accent designs as well to complete the composition. The following week a lesson was given on how to create shadows on the ground using black crayon. The foreground was colored in with white chalk, being careful to work around the shadows. Tissues were used to blend the chalk to create a soft effect. White creamy paint was taken out next so that the branches of the trees could be frosted in snow. The white paint could also be used to paint snowflakes or stars in the sky. This lesson took my fourth and fifth grade students two forty minute classes to complete.